Ina recent Press Release Union Public Service Commission has announced the NDA Final Result. 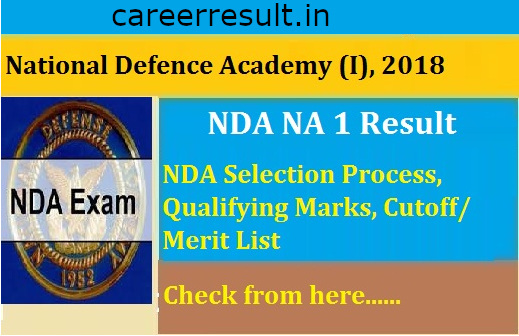 For the Commencement of new Batch 103rd of Indian Naval academy Result List has been Prepared on the basis of Written Examination & Interview .Candidates need to check their Result List in the Important Link Section Provided below. Indian Naval Academy Course for the Batch 103 has selected the Candidates on the basis of their performance in Written Examination & Interview. From 02nd January 2019 New Batch Course will be commenced candidates are required to report the Academy before that. 1. 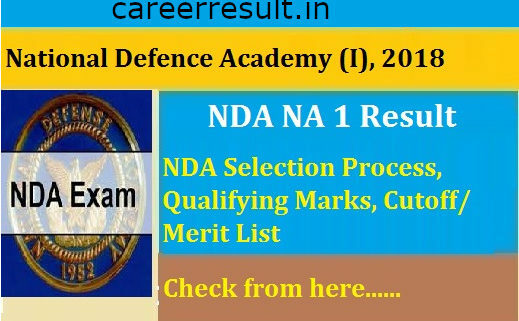 In order to download their UPSC NDA-I Final Result candidates are required to go to the important link section provided below. 2. After getting the link candidates are required to click it for downloading their UPSC NDA-I Final Result. 3. Result is in the form of List, here they are required to check their details (Roll No & Name) displayed in the vertical columns of the List. 4. Candidates can also download their Result from official site of the UPSC. Conclusion : For more detailed info regarding to UPSC NDA-I Final Result 2018 kindly visit official website and read carefully employment advertisement before applying against to Uttar Pradesh Latest Bharti 2018.Subscribe Careerresult to get latest updates about UPSC NDA-I Final Result 2018 on your smartphone via E-mail. For more latest jobs updates in Defence Jobs Stay connected with us.All candidates have to request is to share this job link with your friends over at WhatsApp, Facebook ,Twitter,Instagram and help them get good career in your life.